Beira is the third largest city in Mozambique. It lies in the central region of the country in Sofala Province, where the Pungwe River meets the Indian Ocean. Beira had a population of 412,588 in 1997, which grew to an estimated 546,000 in 2006. It holds the regionally significant Port of Beira which acts as a gateway for both the central interior portion of the country as well as the land-locked nations of Zimbabwe, Zambia and Malawi. Beira was originally developed by the Portuguese Mozambique Company in the 19th century, and directly developed by the Portuguese colonial government from 1947 until Mozambique gained its independence from Portugal in 1975. Beira is located on the Mozambique Channel, an arm of the Indian Ocean located between Madagascar and Mozambique. The city sits north of the mouth of the convergence of two major rivers of Mozambique: the Buzi River and the Pungwe River. 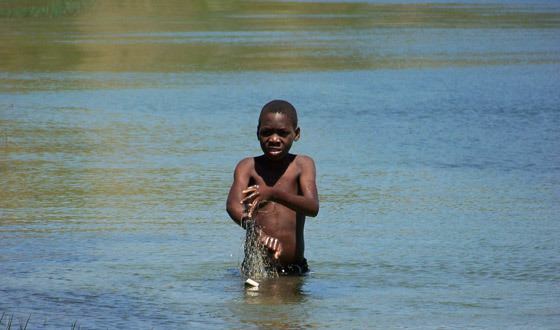 The Buzi crosses 250 kilometres (160 mi) across Manica and Sofala provinces to form a wide estuary. The Pungwe crosses 400 kilometres (250 mi) from the Eastern Highlands of Zimbabwe also through Manica and Sofala provinces to Beira. The city was established in 1890 by the Portuguese and soon supplanted Sofala as the main port in the Portuguese-administered territory. Originally called Chiveve, after a local river, it was renamed to honor the Portuguese Crown prince Dom Luís Filipe who, in 1907, was the first member of the Portuguese royal family to visit Mozambique. Traditionally the Portuguese Crown prince carried the title of Prince of Beira, a historical province of mainland Portugal. The Portuguese built the port and a railway to Rhodesia, Portuguese families settled in the newly founded locality and started to develop commercial activities. With the growth of the village, in 1907 the Portuguese Crown elevated Beira to the status of city (cidade). Headquarters of the Companhia de Moçambique (Mozambique Company) from 1891, the city's administration passed from the trading company to the Portuguese government in 1942. In 1966, the construction of a new railway station was completed. Before Mozambique's independence from Portugal, as a city of Portuguese Mozambique, Beira was noted for its well-equipped seaport, one of the major facilities of its kind in all East Africa, tourism, fishing and trade. The city prospered as a cosmopolitan port with different ethnic communities (Portuguese, Indian, Chinese, Bantus such as the Sena and Ndau) employed in administration, commerce, and industry. A large English-speaking population was the result of being a favourite holiday destination for white Rhodesians. One reminder of this is the Grande Hotel, built by the Portuguese, near the shore of the Indian Ocean. 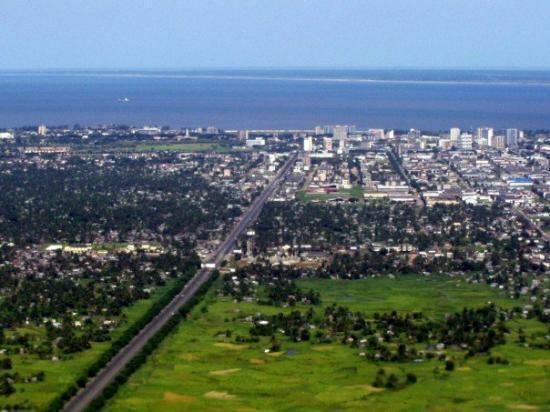 By 1970, the city of Beira had 113,770 inhabitants. The 2000 Mozambique flood devastated Beira and the surrounding region, leaving millions homeless and severely damaging the local economy. During the campaign for the local elections in 2013, which culminated in the victory of the Democratic Movement of Mozambique (MDM) in the municipality, the Munhava district was the scene of violent clashes between police and supporters of the MDM. Beira features a tropical savanna climate (Köppen Aw). Average temperature in January is 28.5 °C (83 °F) and in July (the coldest month) it's 21 °C (70 °F). The rainy season runs roughly from November to April. Tourism is a potential industry for Beira, but returns are limited. Potential tourist attractions include the cathedral, lighthouse, Macuti Beach and the Grande Hotel Beira. North of the city is the former Gorongosa national park. There are few restaurants or hotels of a tourist standard and security is poor in some areas. 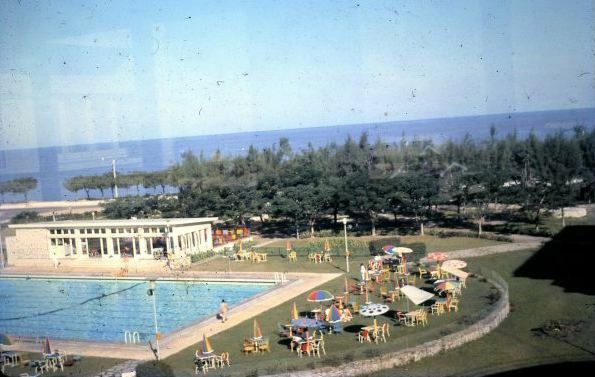 There is also a place called Clube Náutico da Beira that tourists visit which includes a restaurant and pool and is located near a beach. Beira has long been a major trade point for exports coming in and out of Zimbabwe, Malawi, Zambia and other Southern African nations. Because of this, the port of Beira is the second largest in Mozambique. The importance of the port was shown during the Mozambique Civil War, when Zimbabwean troops protected the railway and highway from Beira to Mutare in order to continue trade. The railway to Zimbabwe was originally 610 mm (2 ft) in 1890, but was converted to 1,067 mm (3 ft 6 in) in 1900. In 2008, the Mozambique transportation minister, Paulo Zucula, stated that the government is planning on modernizing the Beira and more northern Nacala ports for an estimated cost of $900m; $500m and 400m respectively. The government has also stated that it plans on modernizing surrounding railway and highway infrastructure so that the port is better connected to the nation's mines. There is also a ferry service in Beira, linking the city to neighboring cities, including Nova Sofala and other coastal towns. Beira is served by an airport to the northeast of the city, with both domestic and international flights. There is a Portuguese international school, Escola Portuguesa da Beira. One of the major universities here is the Catholic University of Mozambique which was established in 1996 by the Catholic church and affiliated with the International Federation of Catholic Universities (IFCU). This private, coeducational university is locally known as Universidade Catolica de Mocambique (UCM) and has been officially recognized by Mozambique's Ministry of Education and Culture (or Ministério da Educação e Cultura) which oversees the overall education system. A second major university is the Jean Piaget University of Mozambique, locally termed da Universidade Jean Piaget de Moçambique(UNIPIAGET). This Portugal based University was founded in 2004 by Instituto Piaget, a non-profit cooperative, and is just one of seven campuses established across the globe. The Roman Catholic Church established the Archdiocese of Beira in 1940 which was later promoted as the Metropolitan Archdiocese of Beira in 1984. Its patron saint is Nossa Senhora de Rosário and includes 885,000 practicing Catholics, making up 55.6% of the 1,593,000 population. It is of Roman (Latin) rite and depends on the Congregation for the Evangelization of Peoples. On September 17, 1988 Pope John Paul II visited Beira and held the Holy Mass at “Largo de Goto” while visiting the Mozambique cities of Beira, Maputo, and Nampula. Beira has been twinned with Bristol, UK, since 1990 and the Bristol-Beira Link manages a range of projects in education, culture, commerce, and disability. In the past, Beira also has been twinned with Amsterdam, Netherlands (until 2005).